The Clinique Whole Lotta Colour set was a gift from my boyfriend's Grandma (along with a whole load of other Clinique goodies) for Christmas. After seeing reviews of the Chubby Sticks all over the place I was really intrigued by them, but at £16 each I just couldn't justify them, especially with Revlon's much cheaper balm stains available. However, this is a much more affordable way of trying out a range of the shades that Clinique have to offer, and I have to say I'm impressed. 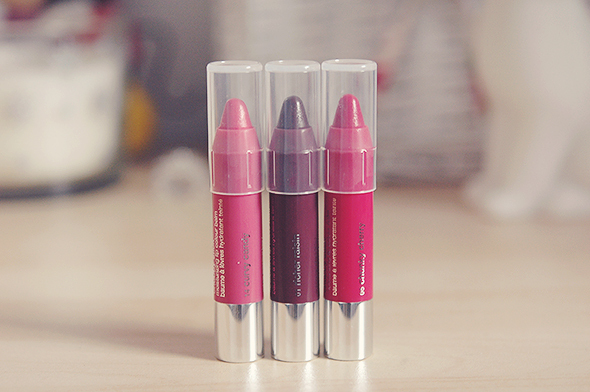 You receive five shades - Super Strawberry, Oversized Orange, Curvy Candy, Richer Raisin and Chunky Cherry. 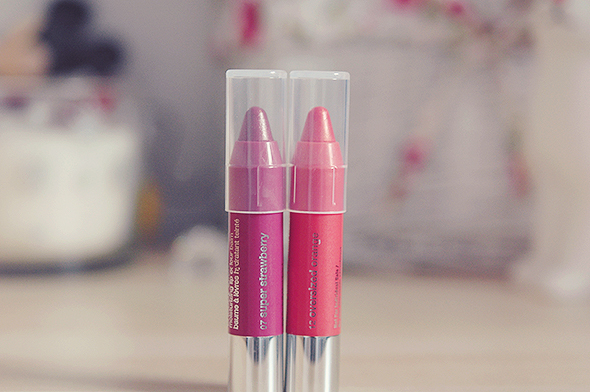 They're not the most pigmented of lip products - they're very sheer, but I do find them hydrating on the lips. With most tinted lip balms, they don't last all that long - around 2 to 3 hours, but they're small enough (1.2g) to carry around and top up when needed. For lip swatches, see below. Super Strawberry - Muted red with a slight pink tint. Oversized Orange - A subtle, wearable orange. Curvy Candy - A baby pink, my favourite of the bunch. Richer Raisin - Plum brown, nowhere near as intimidating as it looks. Chunky Cherry - Pink based red, more vibrant than Super Strawberry. If more vibrant lipsticks are your thing then I doubt the regular Chubby Sticks will be your thing, but Clinique have recently released the Intense collection, which appear to be far more pigmented. Overall, I'm really happy with this little set and will get loads of use out of them. Do you own any of the Clinique Chubby Sticks? Aw these are so adorable! I've tried the Revlon stains but not the chubby sticks. 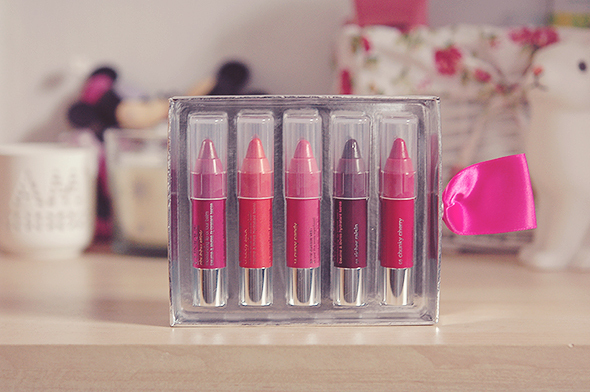 This would make a perfect gift for any beauty lover! Just discovered your blog, its lovely! Wow, I'm shocked that these aren't all that pigmented... I feel like with all the hype they would have been :/ Makes me happy that I've purchased nothing but the Revlon Balm Stains at this point haha! !